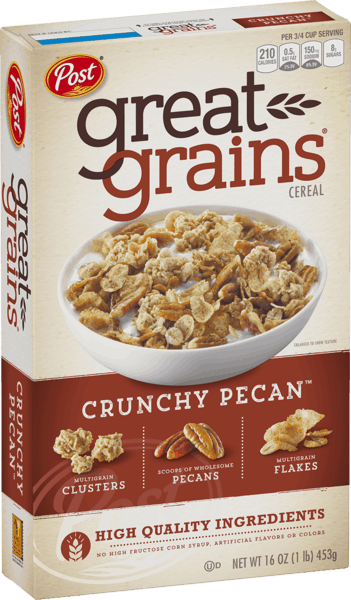 $0.50 for Post® Great Grains® Crunchy Pecan™ Cereal. Offer available at multiple stores. $1.00 for Nexcare™ Tegaderm™ Transparent Dressing (expiring on Tuesday, 11/05/2019). Offer available at Walmart. $2.00 for Crest® Gum Detoxify™ Toothpaste (expiring on Wednesday, 10/02/2019). Offer available at Walmart. $2.00 for Gillette® Hydra Gel Deodorant (expiring on Wednesday, 10/02/2019). Offer available at Target, Walmart. $1.00 for WHEAT THINS Snacks, GOOD THINS Snacks, RITZ Toasted Chips OR RITZ Toasted Pita Crackers (expiring on Wednesday, 05/01/2019). Offer available at multiple stores. $1.00 for Premier Protein® Bar (expiring on Friday, 09/06/2019). Offer available at Walmart. $2.00 for Arnicare® Gel (expiring on Saturday, 11/02/2019). Offer available at multiple stores. $1.50 for Lavazza Caffe Espresso Ground Coffee (expiring on Friday, 11/01/2019). Offer available at multiple stores. $2.00 for Biotène® Gentle Oral Rinse (expiring on Saturday, 11/02/2019). Offer available at multiple stores. $2.00 for Vanquish® Headache Relief (expiring on Saturday, 11/02/2019). Offer available at Walmart, Walgreens, Meijer. $1.50 for Real Good Foods® Enchiladas (expiring on Wednesday, 10/02/2019). Offer available at Walmart.